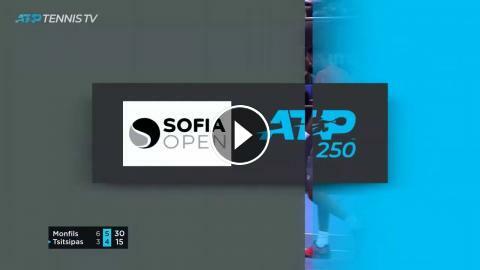 Watch #NextGenATP Greek Stefanos Tsitsipas lace a forehand passing shot for a winner against Gael Monfils at the Sofia Open on Friday. Photo Credit: LAP.bg. Watch live tennis at tennistv.com.